Beacons are prompting retailers toward greater in-store success. These geo-location digital devices are engaging shoppers with relevant retail promotions to enhance the in-store experience. Beacons provide precise proximity marketing to retailers trying to reach shoppers in modern mobile ways. Their proven performance has rapidly led to worldwide acceptance and adoption. In fact, a recent Airspace study revealed that 99% of U.K brands are considering using proximity marketing within 2015, with 79% of those retailers plan to use it the next few months. Business2Community.com reported on how beacons can help retailers locate success. Beacons guide retailers directly to marketing campaign results. They make it easier to measure the impact of ads by enabling marketers to send relevant promotions and messages to customers who enter specific areas of a store. Then, marketers can monitor customers’ buying behaviors to see if their messages and campaigns are effective. With store circulars rarely in circulation today, beacons allow retailers to convey their sales and special deals directly to shoppers as they enter specified sections of a store. These proximity detection devices can track when shoppers enter each store aisle, as well as the products they browse and purchase. When a shopper approaches certain items, the beacon can detect it and send a relevant promotional message to their smartphones. This is literally “direct” marketing because shoppers directly receive promotions on the spot. With beacons, retailers can monetize and maximize their micro-location data. Beacons make mobile retargeting more relevant in store, as well as outside the store. They enable retailers to reach shoppers who left the store without purchasing and send them relevant promotions on the products they browsed without buying. By reaching and retargeting shoppers with deals on the products that piqued their interest in the store, retailers can increase the chance of securing a later purchase. 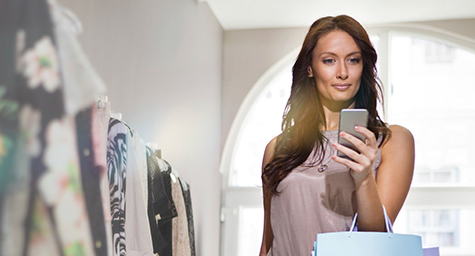 Beacons are bringing the power of mobile and digital into the traditional in-store experience. They signal a revolution in retail and their success is a clear sign of what’s in store for stores. Follow the latest in retail marketing. Contact MDG Advertising today at 561-338-7797 or visit mdgadvertising.com.